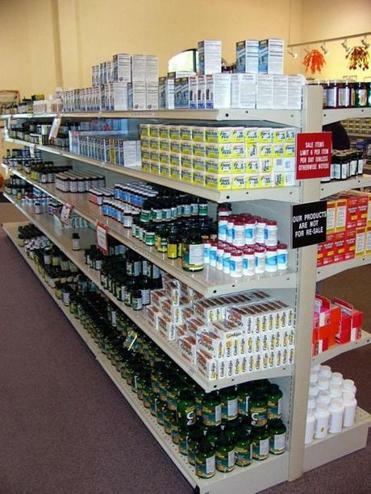 Perrigo, based in Michigan, manufacturers over-the-counter and generic drugs. DUBLIN — US drug maker Perrigo agreed Monday to buy Ireland’s Elan for $8.6 billion in a deal that should allow the rapidly growing company to reduce its tax bill and boost its royalty stream. Perrigo Co. said it would pay Elan Corp.’s investors $6.25 per share in cash and $10.25 in Perrigo stock, an 11 percent premium over Elan’s closing price Friday. Elan shares in Dublin surged to $16.71 following news of the takeover. After spending four months defeating a series of hostile, lower-priced takeover bids by Royal Pharma, Elan earlier in July said it was open to better offers. Several potential US suitors sought to acquire Elan’s flow of royalties from drugs it helped develop, particularly the multiple sclerosis fighter Tysabri. Perrigo, which has been headquartered in the small western Michigan town of Allegan since 1887, said it would move its tax residence to Ireland and hopes to cut its tax liabilities nearly in half as it grows non-US sales. Perrigo is already the largest maker of generic drugs for major retail chains in the United States, including Walgreens and Walmart. It has rapidly expanded overseas since 2005 with acquisitions in Israel, Britain, Mexico, and Australia. A new Irish base would allow Perrigo’s non-US sales to be taxed at a much lower rate. Ireland imposes 12.5 percent tax on corporate profits, one of the lowest rates in Europe, whereas the United States levies 35 percent. Perrigo and Elan said a transitional company called New Perrigo would be registered in Ireland and traded on the New York and Israeli stock exchanges. They said the merger meant existing Perrigo investors would own 71 percent of the company, Elan investors the rest. Tysabri, a joint venture with the Weston, Mass.-based drug maker Biogen Idec, faced disaster after its launch in 2005 when it was linked to development of a rare, often fatal brain-inflammation disease. But Elan and Biogen Idec persuaded regulators to put Tysabri back on the market in 2006 and the drug, prescribed under restricted rules reflecting its risks, has steadily grown to become a world-leading treatment for MS patients. Elan sold much of its ownership share of Tysabri to Biogen Idec in February for $3.25 billion in cash and a minority share in future royalties. The agreement with Biogen Idec means New Perrigo would collect up to 25 percent of future royalties from Tysabri, which had global sales of $1.6 billion last year. Perrigo’s proposed takeover of Elan, subject to regulatory approval in the United States and Ireland, is expected to be completed by the end of 2013.